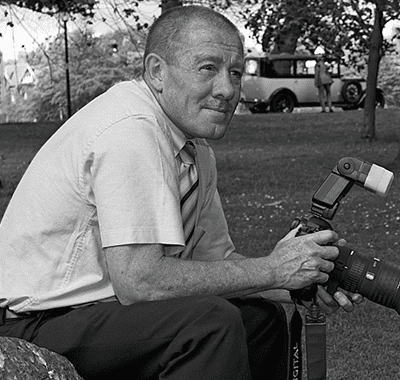 Phil achieved a Distinction by scoring over 90% in the Advanced Diploma in Photography Online Course. I am really a self taught photographer and have had an interest in photography since I was a youngster, but most of my life has been spent on a rugby pitch. Knowing that I would be unable to play forever and that I would need something to fill the big hole left in my life when I stopped playing, photography was the answer and I decided to do the IOP course to see just how much I didn’t know. My real passion lies with Wildlife (birds particularly) and my love for the Lake District inspires me to do landscape work in the mountains. In the summer months, you will find me photographing Military aircraft flying low level through the mountain passes. I joined Wigan Photographic Society to get experience of club photography and then the Royal Photographic Society with the intention of trying to gain accreditation with them in the future. Earlier this year I joined the Society of International Nature and Wildlife Photographers because that is my first love and set about gaining my Licentiateship with them. The hardwork paid off and in November this year, just one year after enrolling with Institute of Photography, I put two different panels of photographs in to both organisations in an endeavour to gain the Licentiateship Distinction and was successful. I have to offer a great deal of thanks to the Tutors at the Institute of Photography for their guidance both while I was studying and after successfully completing the course. To all current students and all would be students I will say that if I can do it, so can you..